A UConn study says eggs for breakfast can curb eating later in the day. Bring on the omelets. 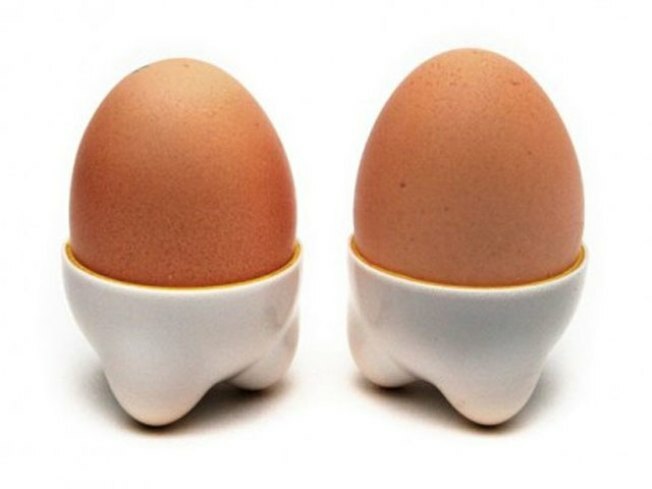 Researchers at the University of Connecticut have found that having eggs for breakfast might actually help you eat less. The news comes at an optimal time for everyone working toward a bathing suit ready body. The key is apparently in the protein. To determine the impact of eggs on our stomachs, scientists enrolled 21 men to dine on two separate breakfasts. On one day, the participants ate an egg-filled breakfast, including scrambled eggs and toast, according to Physorg.com. On day two, they ate bagels, cream cheese and low-fat yogurt. The calorie content was the same. The biggest difference was the protein content. For lunch, scientists gave the men the ultimate challenge – a buffet lunch. Men who ate eggs ate more than 100 fewer calories that the bagel eaters, Physorg.com reports. Over the day following the egg breakfast, the guys consumed 400 fewer calories. The research was published in the February issue of Nutrition Research.